Finance Minister Arun Jaitley said GST will promote new investment and contribute to GDP growth. 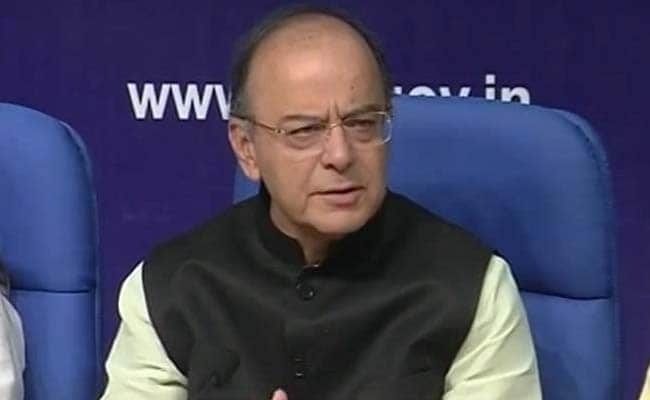 New Delhi: Finance Minister Arun Jaitley today sought support from members of Parliament and state legislatures to create mass awareness about the Goods and Services Tax (GST) that is scheduled to be rolled out from July 1. In a letter to the presidents of various political parties, Mr Jaitley thanked them for their cooperation and contribution in making the GST a reality. He underscored the role lawmakers can play in creating mass awareness about the new tax law. He said it is important for them to understand the finer points of the new tax regime in order to explain the same to the people. "If trade and industry face any difficulty during the implementation phase, the representatives of the people should be better equipped to handle the same," he said. Highlighting that the GST is the most important tax reform since independence, he said it will promote new investment and contribute to the overall GDP growth. "The GST will also help in removing the cascading effect of taxation and provide relief to the common man in the form of reduced prices of essential consumer goods," Mr Jaitley said. He said that with the cooperation of all the political parties, the Constitutional Amendment Act for GST was passed by Parliament. Besides, three laws -- Central GST, Integrated GST and Union Territories-GST -- have already been passed by the parliament while the State Goods and Service Tax law has been passed by the 25 state legislatures. The GST Council, chaired by Mr Jaitley, with state representatives as members, met 15 times since September 2016 and approved all the draft laws and rules and GST rates for all the commodities. In his letter, Mr Jaitley also requested the different political parties to consider organising workshops and training sessions for all the MPs/MLAs of their respective parties for which the Union government can provide expert resource personnel. He asked them to contact his office or the office of the Revenue Secretary, Hasmukh Adhia, for further assistance. The GST will unify 16 different taxes, including excise, service tax and VAT, and make India a common market for seamless movement of goods and services.